The old Eversley Road is now blocked and is called 'Bramshill Close', while the A327 Garrison bypass is on the extreme left of this map. The cottages at No. 264 are just to the east of the 'Bramshill Hunt' P.H. 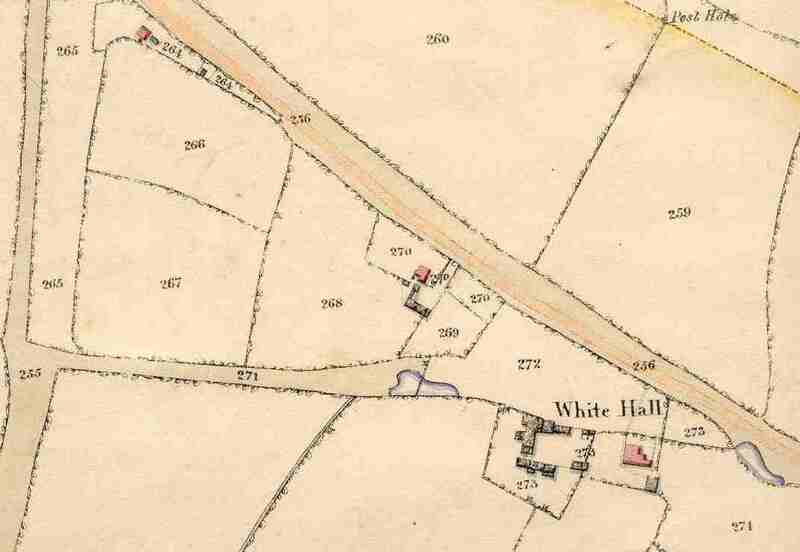 Whitehall Farmhouse still exists, but it is surrounded by Garrison houses to the north of what is now Bramshill Close and the Penrose Park development to the south.. This view shows Duck's Nest Farm and Cottages, 'Bramshill Hunt' P.H. and adjacent cottages. See commentary along the left hand side.